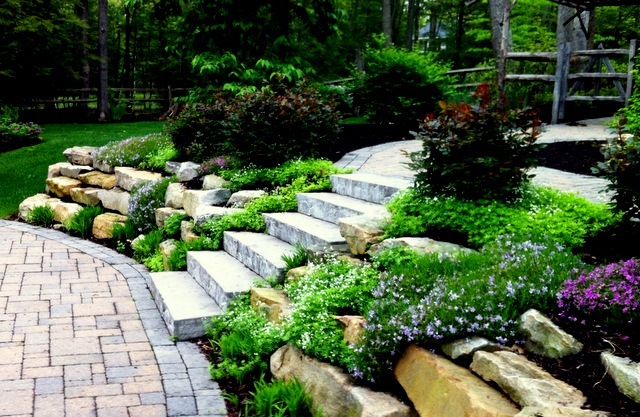 If your garden or backyard has a slope or hill, installing an outdoor staircase can add a beautiful, aesthetic element, while making it easier for you and guests to move around and enjoy your outdoor space. 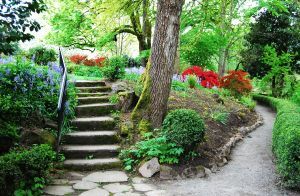 An artistic set of stairs can lead your visitors into the different “rooms,” or artistic spaces, of your backyard. It can also help them negotiate a tricky slope. You can express your creativity by picking materials that speak to you and your personality. 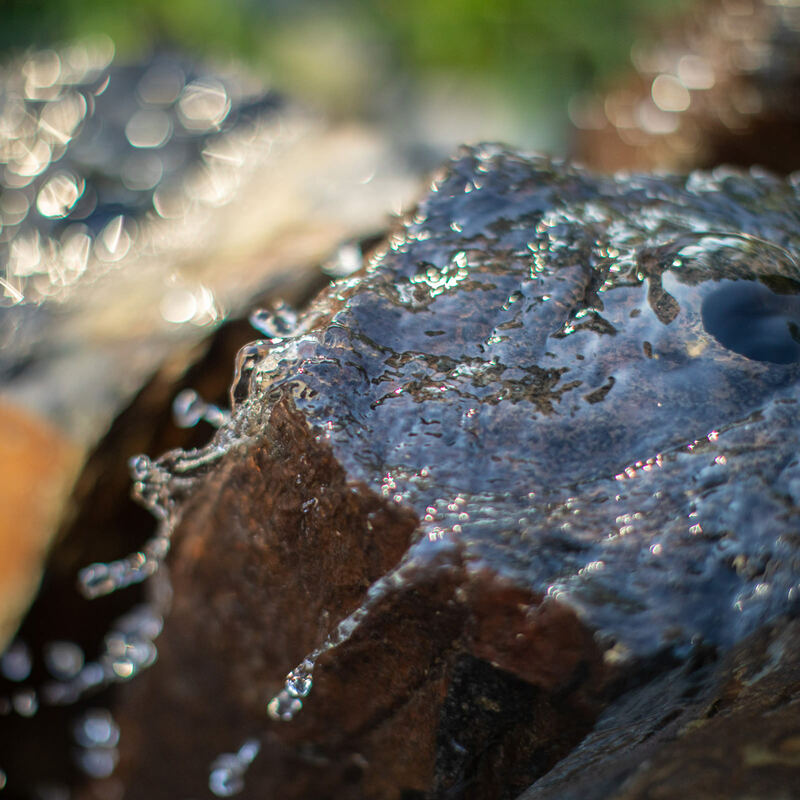 Rustic uncut stones or boulders can bring a dramatic effect to your yard, but should only be used in areas of light traffic due to their less uniform nature. You don’t want people admiring your garden when they are face down in it! Cut natural stones or segmental blocks can be used for higher traffic staircases, and can be arranged in simple rows or in long, sensuous curves. More affordable solutions include concrete and wood. 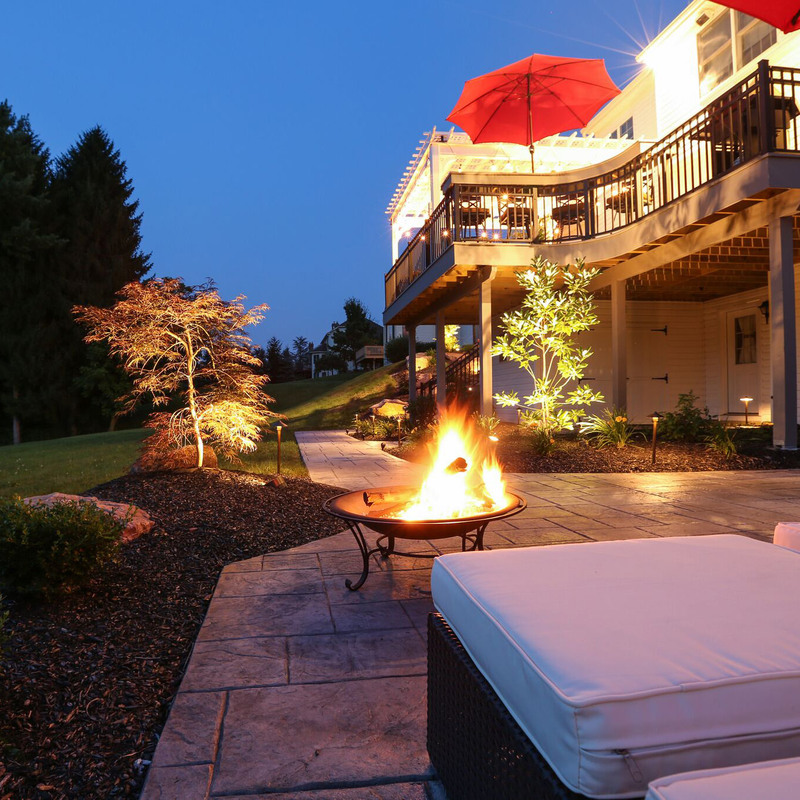 Today’s concrete can be formed into the exact shape or height needed to suit just about any project. It can be colored and textured to look like real stone. 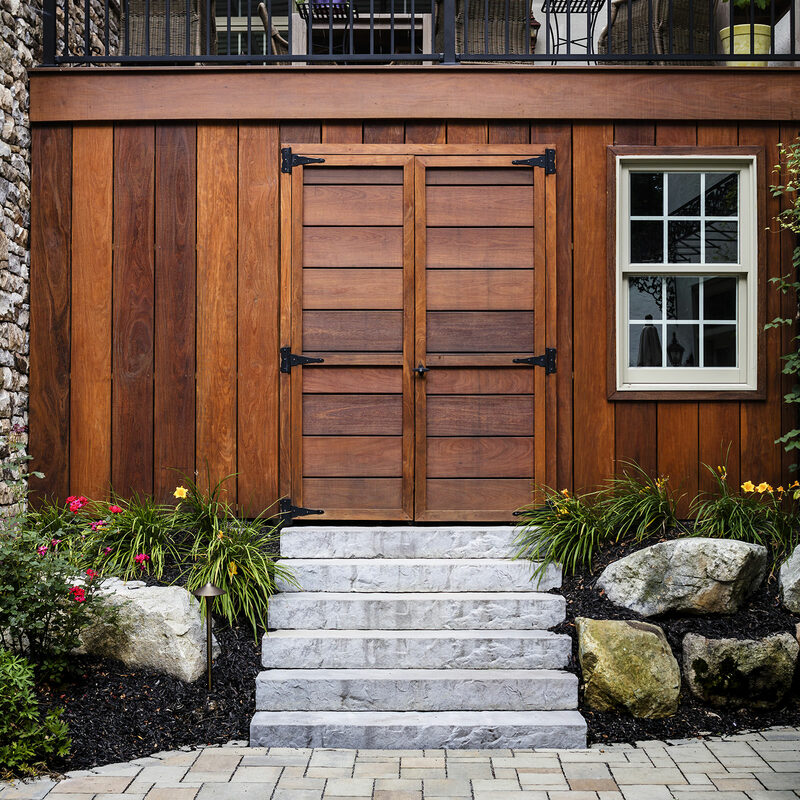 Pressure treated wood is also very versatile, and affordable for large, high traffic steps. 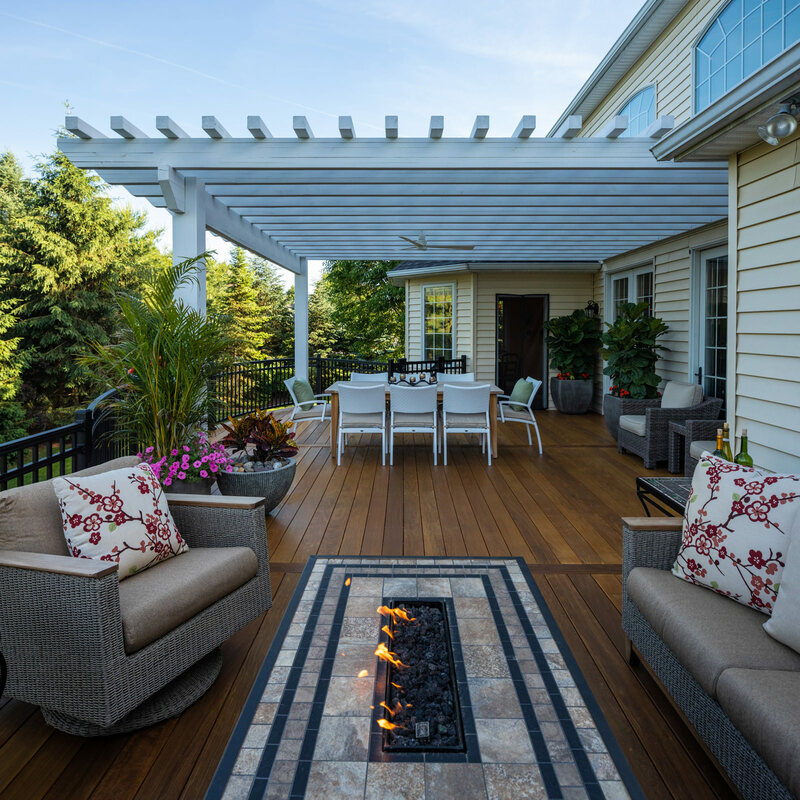 While natural wood is beautiful, it can be tough to maintain, so you may want to consider installing a composite or PVC decking material to minimize time spent on future maintenance. —Rise and Run. “Rise” is the height of the step. “Run” is the tread that you step on. 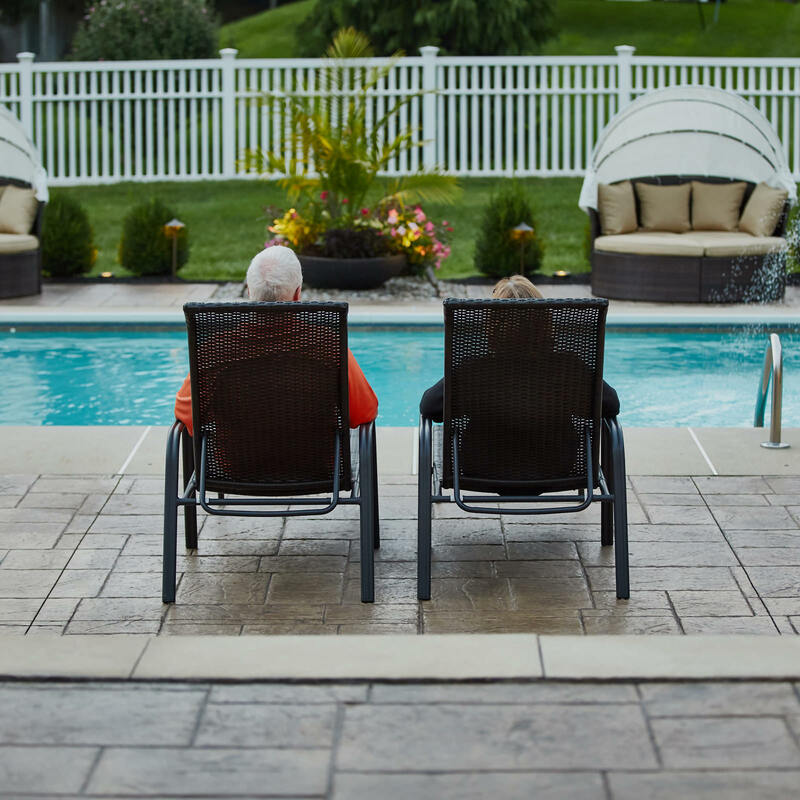 To prevent trips and falls, steps must be similar in rise and run. The average rise should be 4 to 8 inches, and the average run should be 9 to 12 inches. 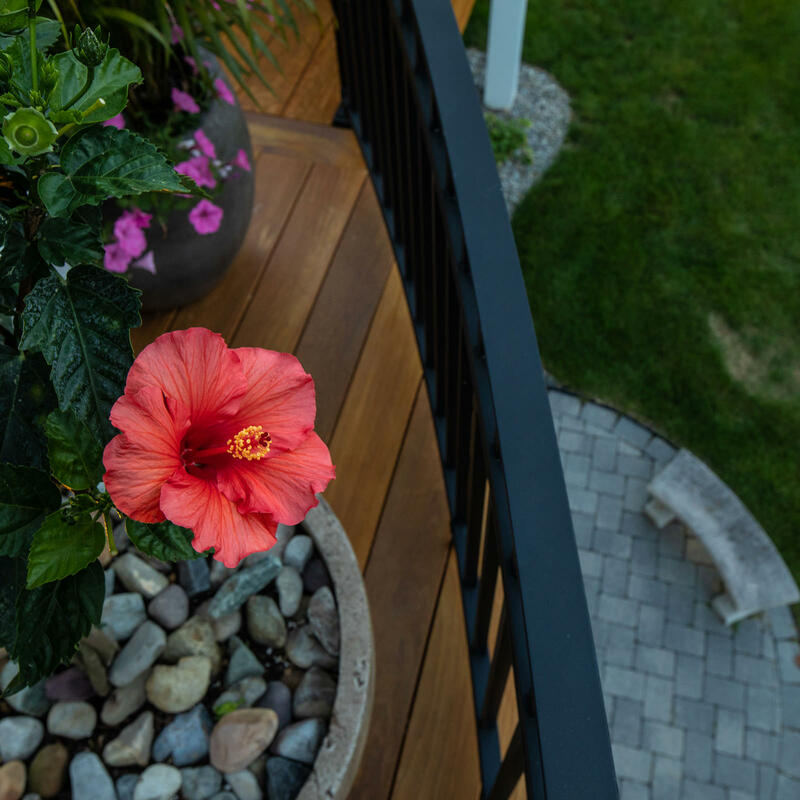 Even the top and bottom steps should have the same rise, so designers must consider the patio or deck material when planning steps from a structure. —Handrails. Handrails or railings have to be included on stairs made of wood and stone that are above ground level. They should be about 36 inches high, with the spindles a maximum of 4 inches apart. They must also be able to support 200 pounds of pressure. —Lighting. Like a good stage, proper lighting is critical to staircase design. 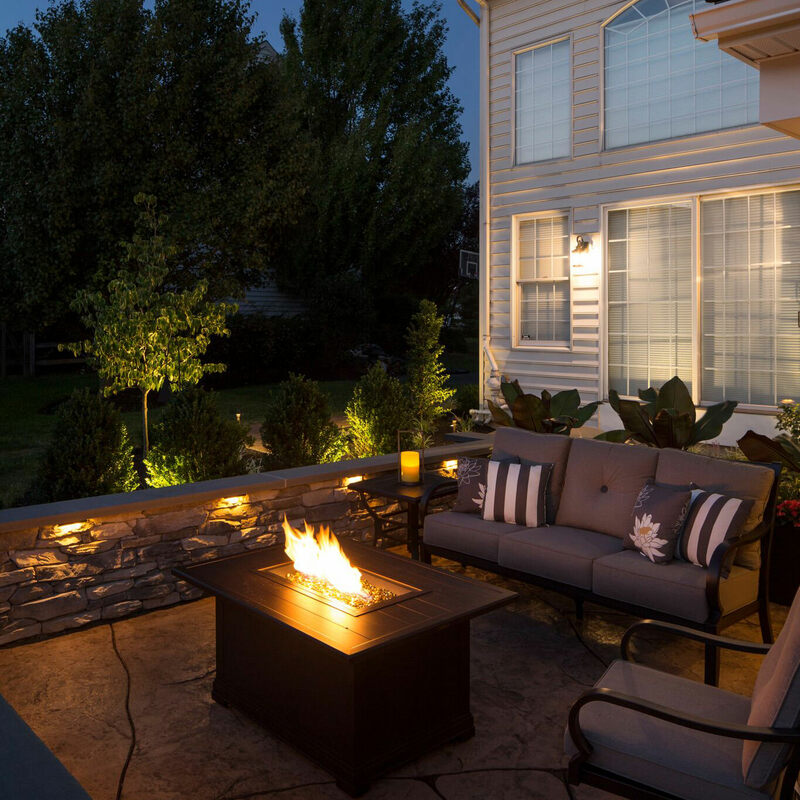 The right lighting can not only improve safety, but make your backyard more inviting. 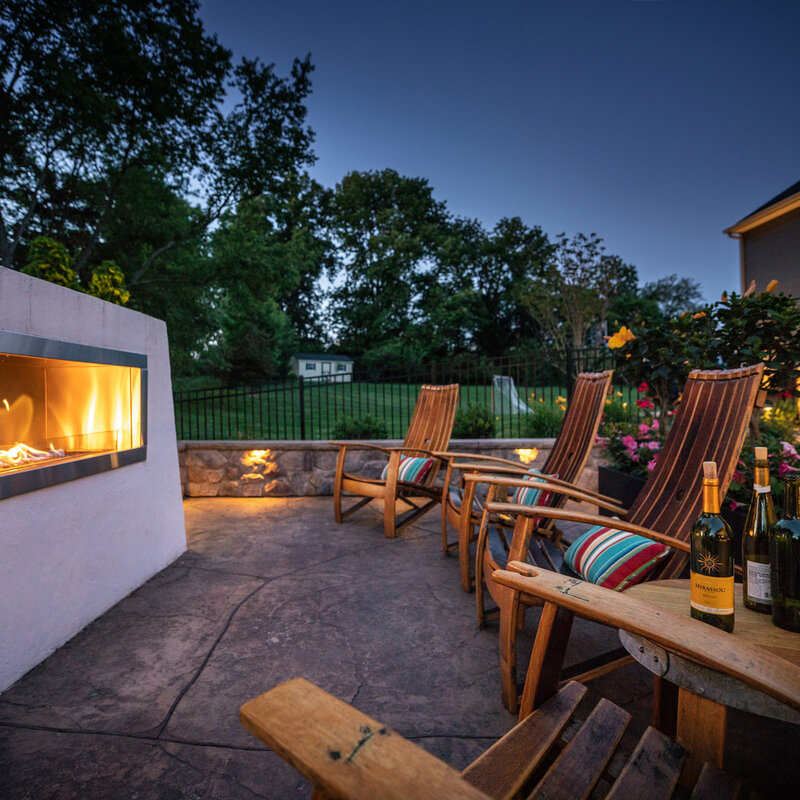 When you are ready to talk to a landscape designer about your outdoor living space, reach out to MasterPLAN Landscape Design. 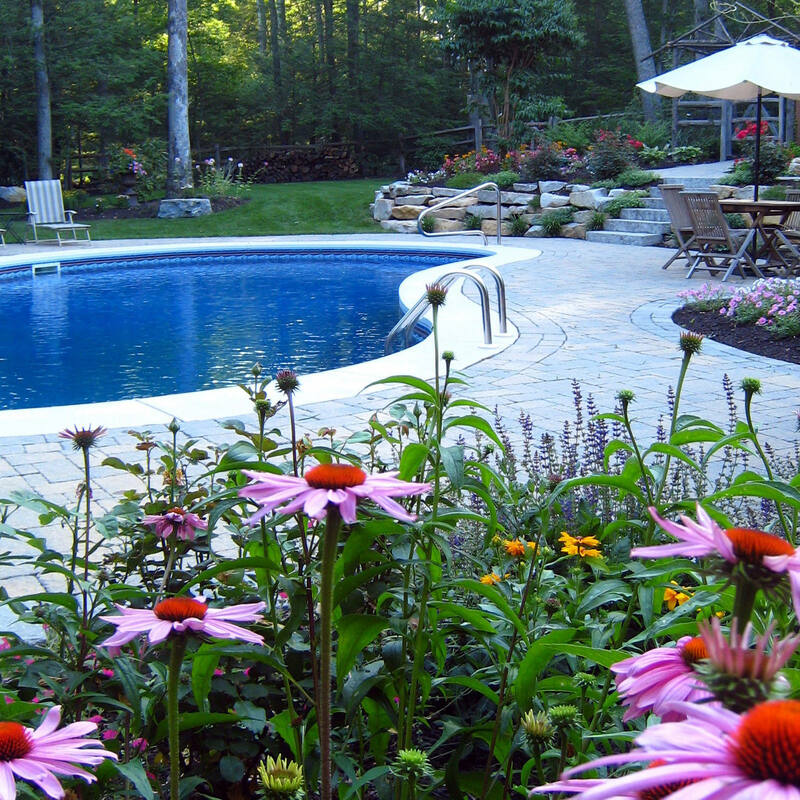 MasterPLAN specializes in custom 3D Designs so you can see exactly what your property will look like before any ground is broken. 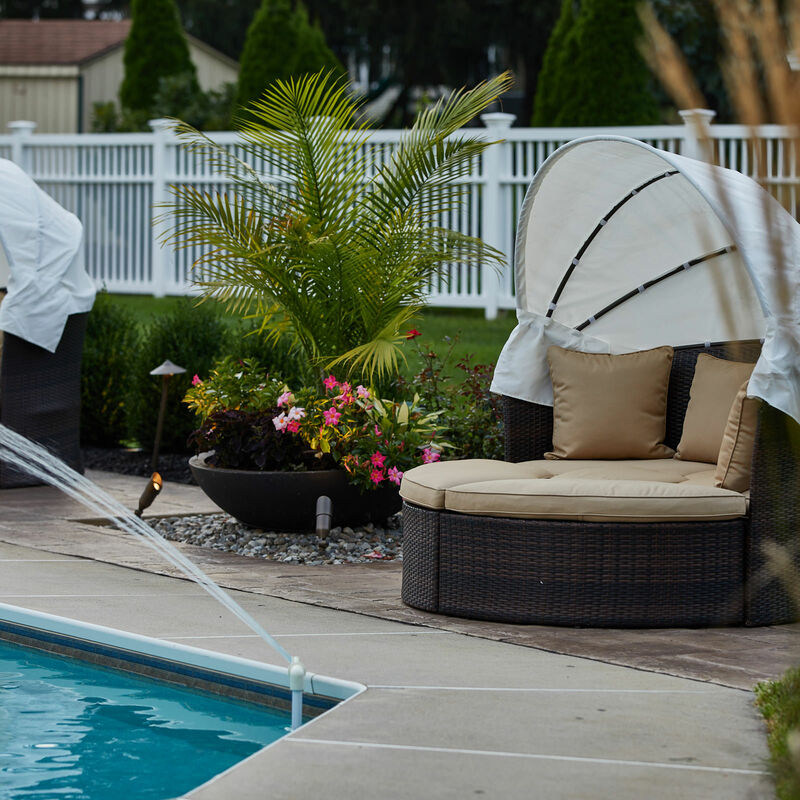 When working with MasterPLAN, you can rest assure that you will be investing wisely in your home and your happiness!